Has Mikel retired from international football? Has he any issue with Rohr? Many have been disturbed of late whether or not, Mikel John Obi, Nigeria's reknown midfielder has retired from international duty after three straight snubs by Nigeria's coach Gernot Rohr. In the list of players who are to play against South africa and Uganda late november, his name is missing. Former International and Chelsea teammate, Victor Moses, announced his retirement from international football after the World Cup giving no reasons for this. People are of the thought that Mikel might be following same with Moses. Many say Mikel may have made himself unworthy of call by the Super eagles coach. The player, digging into history have had many issues with different managers in his international career. He first represented the Nigeria under-20 team at the 2005 FIFA World Youth Championship and won the Silver Ball for the second-best player at the tournament (behind Lionel Messi). Nigeria finished runner-up to Argentina. Mikel made his debut for the Nigeria senior team on 17 August 2005, when he came on as a second-half substitute in a 1–0 friendly win over Libya. He was not likely heard of until against Zimbabwe. He provided assists and scored Nigeria's second goal. He made his first international start in Nigeria's final group game inwhich they won 2:1 over Senegal. 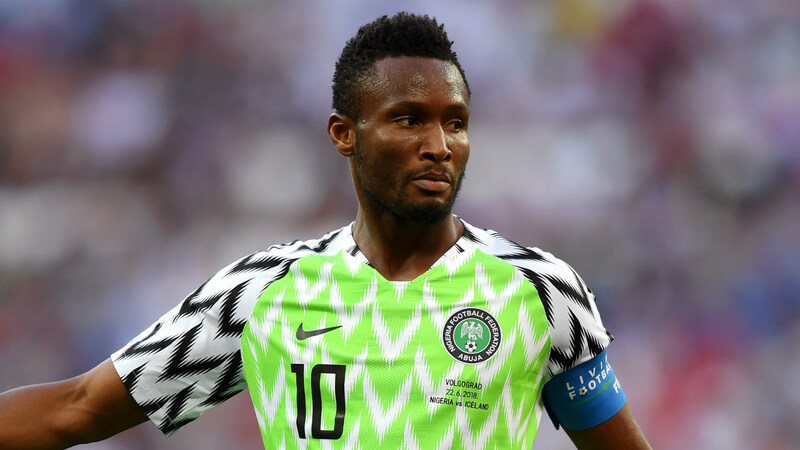 Things began to turn sour for the young player as in 2007, he was suspended from all Nigerian national teams after manager Berti Vogts dropped Mikel from the team's squad for the Africa Cup of Nations qualifier against Niger. This was because of his failure to attend their previous match against Uganda of which Mikel had blamed on Injury. Adding salt to injury, Mikel refused to play for the Nigerian under-23 side and this resulted in his suspension by the Nigerian Football Association. Following an apology by him at a later date, he was called up to the national squad for the 2008 Africa Cup of Nations in Ghana. This proved to be pivotal to his career as he scored one goal and registered one assist in a match against Benin to help Nigeria qualify for the quarter-finals of which they lost 2:1 to hosts Ghana. Mikel seem to be honouring his club team more than national callups as he again failed to apear after he had been called up for the under-23 side in preparation of the team's last Olympic qualifier on 26 March 2008 which a win was needed to qualify.The then U23 team coach Samson Siasia dropped him from the Olympic squad because of this. In 2010, Mikel was ruled out of the 2010 FIFA World Cup in South Africa due to injury. He was pivotal as Nigeria won the nations cup in 2013 and help Nigeria in the 2014 and 2018 world cup. One of his biggest achievement internationally so far may have been his feat at the 2016 Olympics of which he led the Nigerian football team to a bronze medal. Mikel has not retired from international football He remains the captain of the national team. But the reality of it is that he is not getting any younger. And the positive (from this) is that other players now have a chance to step up in his absence. That should clear the doubt that Mikel hasn't retired from the Nigerian team and is still the captain of the team. Of his issue with the super eagles tactician, there is none yet known. Re: Has Mikel retired from international football? Has he any issue with Rohr? If Mikel has taken the retirement, then it would be a shame for the Nigeria team. He was one of the best servants for both club and country. He had no issues with his attitude. It was a shame to see him leave Chelsea in the manner he did. I hope that he returns to the club for a final farewell.